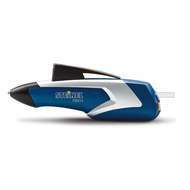 Steinel Hot-Melt Glue Guns and Pens with intelligent hot-melt glue technology give you exactly what you expect from gluing. 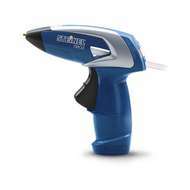 Benefiting from state-of-the-art rechargeable battery technology, STEINEL Neo hot-melt glue applicators are ready to use in 15 seconds. A single battery charge is enough for over 200 non-drip gluing applications. Hot-melt gluing is ideal for almost all materials. 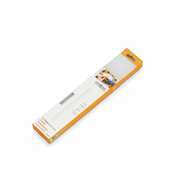 Steinel Cristal Glue Sticks 250mm 250g. 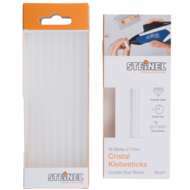 Steinel Cristal Glue Sticks 250mm 250g. 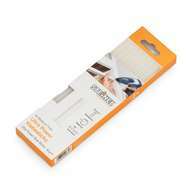 Clear all-purpose glue, transparent, ideal for craft work and decorating. 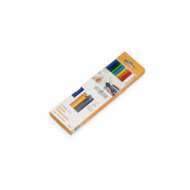 Clear all-purpose glue, transparent, ideal for craft work and decorating. Extremely strong, multi-purpose hot-melt adhesive. Ideal for all craft and DIY work. Extremely strong, multi-purpose hot-melt adhesive. 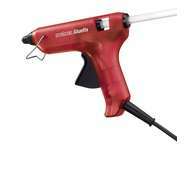 Ideal for all craft and DIY work.